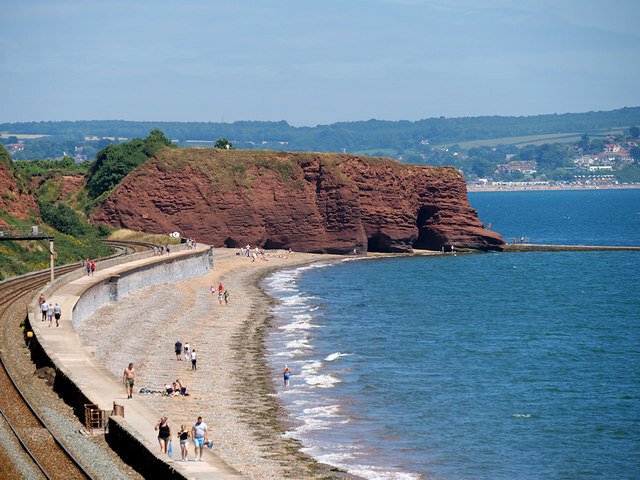 Originally a headland firmly attached to the adjacent cliffs of Dawlish Bay and called Langstone Point, Langstone Rock became separated from the adjacent Langstone Cliff by the construction of a cutting for Brunel's railway line in 1846. The South West Coast Path National Trail - 630 miles of superb coastal walking. From Minehead on the edge of the Exmoor National Park to the shores of Poole Harbour in Dorset. It is the longest of all Britain's National Trails.